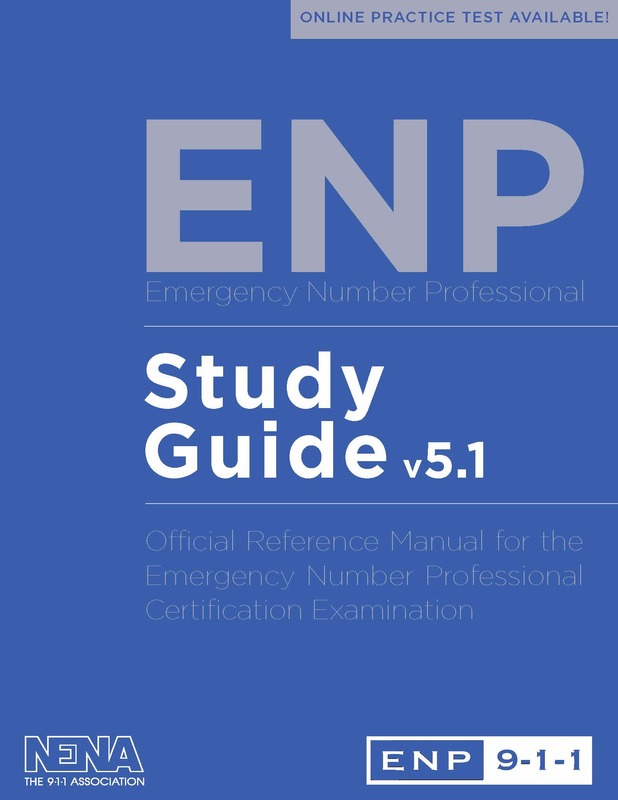 The ENP Reference Manual has been developed to help you prepare for the ENP Certification Exam. While every effort has been made to include up-to-date information, the study guide is not intended to be all-inclusive. With the many technological and legislative changes taking place in the field of public safety, you will need to use other study resources (a suggested list of legislation to study is included in Section 6 of the manual). Sitting for any examination is sometimes equivalent to going to the dentist. Recognizing that, the NENA Institute Board has collaborated with Professional Testing Corporation, who administers the ENP Examination, to offer a 50-question practice test intended to familiarize those about to take the ENP Examination with an electronic test-taking experience. The practice test is weighted in much the same manner as the full ENP Examination. At the completion of the practice test, a score will be given, but it should not be interpreted as an indicator of the likelihood of attaining a passing score. The intent is to experience electronic test taking in the same format as the ENP Examination, and to answer questions weighted similarly to the Operations and Management portions of the ENP Examination as found in the Body of Knowledge. The practice test is offered as a "bundled” product along with the ENP Reference Manual, or as a free-standing product if you are not interested in purchasing the ENP Reference Manual. The bundled package combining the ENP Reference Manual and the practice test is available from NENA for $100. Individually, the ENP Reference Manual is available for $50 and the practice test for $75. For the bundled product, please purchase online at www.nena.org/store. You will receive the ENP Reference Manual along with a code for the practice test that can be used at any time you choose, the advantage being that you can wait until a date near to your examination date, and have the ENP Reference Manual well in advance of the examination date for use with a Study Group or on your own. For the practice test only, please go to www.nena.org/store and order the practice test from NENA. You will be sent the code to access the practice test. The $75 practice test fee is payable by major credit card, and you can take the practice test within one year of purchase.